Why would I need self storage in Dover, DE? There are a variety of reasons why you might need self-storage in Dover, DE. How much is a storage unit in Dover, DE? The cheapest storage unit in Dover, DE is $122.00 per month. What size storage units do you have available in Dover, DE? In Dover, DE we have sizes that range from 10'x10' to 10'x15' to suit your storage needs. How much is it for a 10'x10' storage unit in Dover, DE? The cheapest 10'x10' storage unit in Dover, DE is $122.00 per month. Conveniently located just 90 miles from both Philadelphia and Washington, D.C., the city of Dover puts you within easy reach of countless highlights. It's one of Delaware's largest cities and its capital, home to a steadily growing population that has seen several booms since the mid-20th century. From touring historical landmarks to relaxing at Silver Lake park, there's a number of recreational options within city limits. 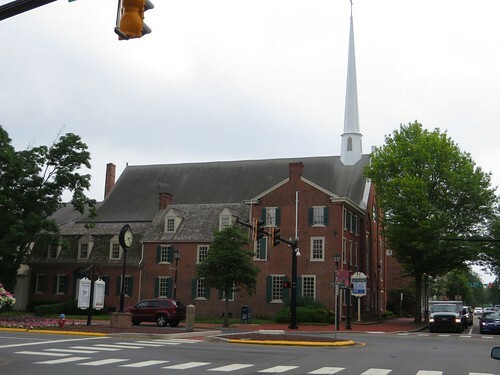 Dover is home to the Schwartz Center, Dover Mall and First State Heritage Park, as well as a number of cultural institutions like the Sewell C. Biggs Museum of American Art. Wherever your interests may be, you'll find that Dover provides plenty to see and do. Founded in 1683 by William Penn, Dover boasts an impressive history. Originally laid out over just 125 acres, it grew to encompass almost 1,000 acres by 1960. One of the most famous residents of Dover was Caesar Rodney, a prominent Delaware leader during the American Revolution. During the Civil War, the city also served as a stop along the Underground Railroad. The emancipation of slavery was also widely supported by the city's large Quaker community. Dover was primarily an agricultural city until International Latex Corp. made its home in the city in 1937, fueling a modernization of the city's economy and industrial sector. Residents in Dover typically find jobs close to home, though it's possible to commute to nearby cities for work. Although the unemployment rate in Dover is higher than the state average, job growth has been promising in recent years. A large percentage of the workforce here is employed in sales, office and administrative support jobs, with production, transportation, material moving, management, business and finance making up most of the remaining jobs. The largest employer in Dover is the state government, which includes a variety of bureaucratic offices operated by Dover as the state capital. The Kent County offices also provide a number of local jobs, as does Dover Air Force Base. If you're looking for a job in manufacturing, both Kraft Foods and Procter & Gamble have large plants in the city. Public schools in Dover fall under the operation of the Capital School District. Parochial and Montessori private schools offer additional options for your child's education. If you're planning on pursuing higher education in Dover, you can choose from a number of satellite locations and small campuses run by Wilmington University and Delaware Technical Community College. Dover is also home to Delaware State University and Wesley College. Utilities: The city of Dover is the primary utilities provider, and service set-up can typically be completed over the phone. Garbage and Recycling: Trash, recyclables and yard waste are collected on a regular basis. You must provide your own container for yard waste if you'd like to receive collection services. Transportation: DART First State operates a public transportation network that spans Dover and its neighboring cities. Many people are attracted to Dover because of its affordable home prices, which are quite a bit lower than many other major East Coast cities. The median home price is fairly even with the national average, so if you're home shopping on a budget, you'll find that you have plenty of options. Our lowest priced units in Dover, DE average $122.00 per month. 87 people have reserved units in Dover, DE in the past 30 days. There is 1 location within Dover, DE's city limits.